Constructed in shiny black leather, Marc Fisher Ltd.'s Bowie Boots feature a secretly functional inner zipper as well as the super-directional lace-up front. Pairs well with that weathered copy of Jane Eyre you've got sitting pretty on your nightstand. 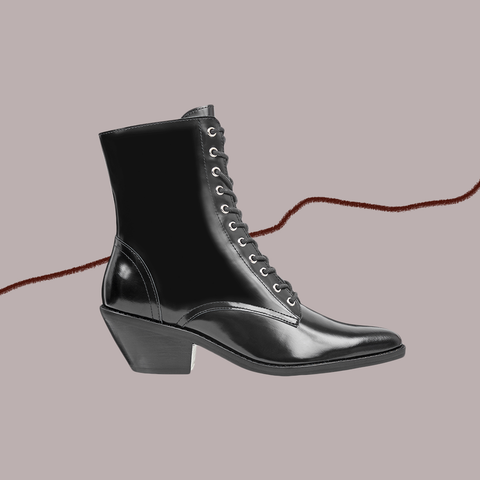 These trending yet super-wearable boots were made for walking, dancing ("Starman," anyone? ), commuting… You name it. They're a little bit Victorian, a little bit rock 'n' roll, if you will: In other words, they'll be equally at home with an au courant prairie dress as they will be your off-duty jeans–and–band tee look. 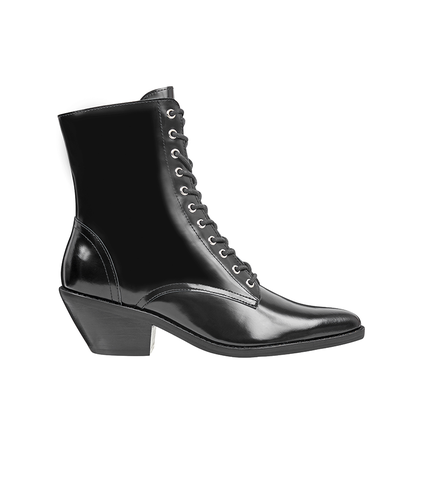 Shop Marc Fisher LTD's Bowie Lace-Up Boots ($249) at marcfisherfootwear.com.